Whatever happened to predictability? 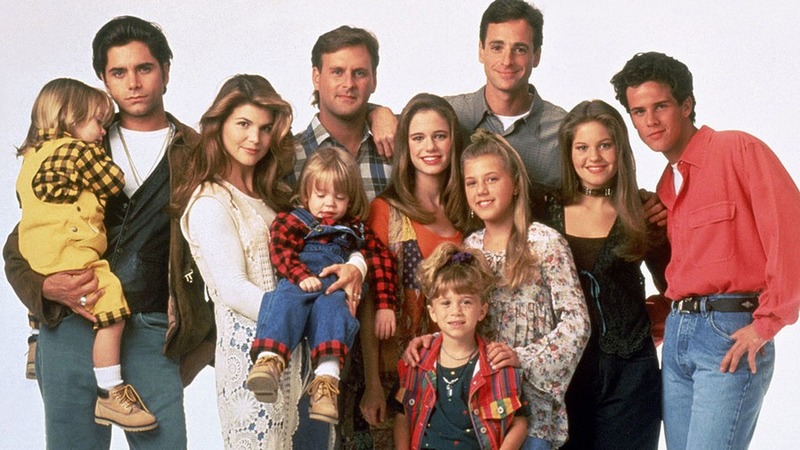 Well, it’s still alive and thriving on Full House, where all prophecies of “seeing the worst hairdos that life has to offer” come true in a most magical fashion. I believe Nostradamus himself said, “You got it, dude,” in one of his quatrains. We’ve put together a list of all the major Full House characters, as ranked by their mostly funky hairstyles. This isn’t so much a best-to-worst classification or vice versa, but rather a championing of the most notable wins and sins that ever graced these characters’ heads. I know what you’re thinking: Everyone should be #1. But that just wouldn’t be fair. So grab a pint of your favorite ous cweam and have mercy on the people that follow. 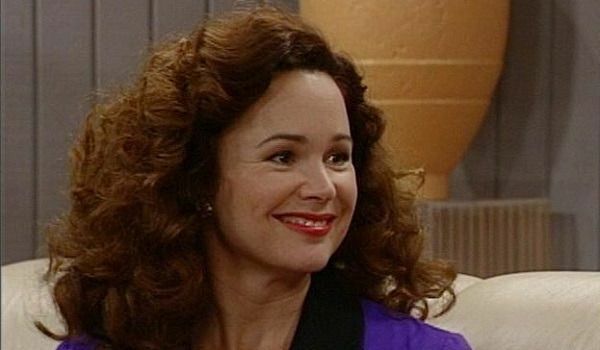 For the most part, Rebecca’s hair has always been pretty perfect, which makes me think she had to have been using her own non-Full House stylist to get the job done. Perhaps someone from Wake Up, San Francisco. It was sometimes so immaculate you could easily picture a tiny surfer tubing through it and landing on Jesse’s purse-lipped face. I do wonder if she had to sign a contract with Jesse with the stipulation that her hair stayed gorgeous if marriage was to be an option. Ah, the joys of being too young to really have to worry about insanely goofy hair problems. Which isn’t to say that “having mullet-lite hair that looks like it was cut using a mixing bowl as a guide” isn’t goofy; it’s just not mind-numbing. 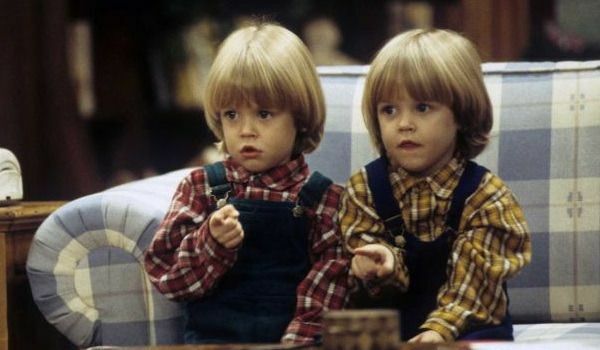 But the twins’ presence so late in the game definitely inspired thoughts about whether or not the Full House stylists were getting paid by the “bangs,” as every single character seemed to have them. The curling iron budget for Vicky’s hair must have been the reason why she wasn’t on the show as long as she should have been. Sure, they tried to make it seem like she had to leave for her dream job, which would keep her far away from Danny, her obvious soulmate, but I’m pretty sure it was because of her hair. I like to think that before she left, Danny clipped a lock of it and tried to grow another Vicky inside of a jar. 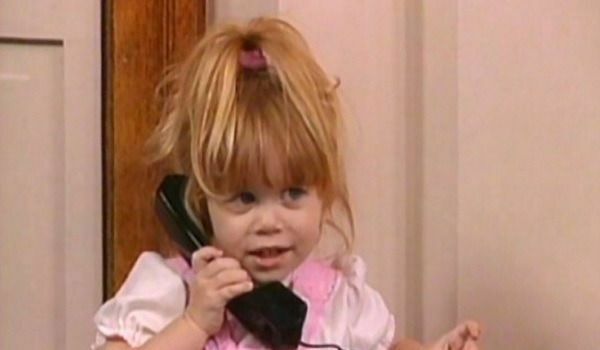 “Michelle’s smiling…” That song was probably based on the fact that, like her twin cousins, she was mostly too young for Full House to ruin her with terrible hairdos. Which isn’t to say she didn’t have some stinkers, but that was mostly the fault of the endless supply of Lisa Frank-ish accessories used for her pigtails, ponytails, and all the other kinds of tails. Plus, Mary-Kate and Ashley Olsen actually had bangs that didn’t seem like bad practical jokes.